SKU: 9781486703784. Category: Childrens. Tags: art, children's books, geography, Johannah Gilman Paiva, math. 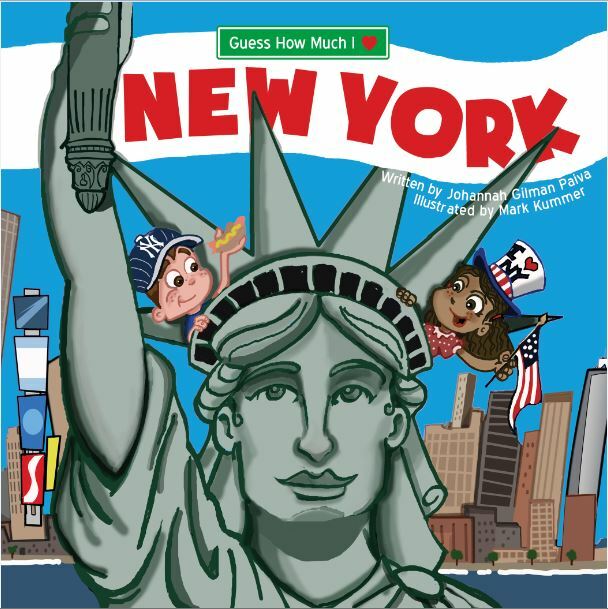 Guess How Much I Love New York introduces early learners to non-fiction in a way that both explains and entertains in this book about the best things about New York City! With vivid illustrations, relatable boy and girl narrators, and rich text of varying lengths, kids won’t even realize they are learning about math, science, geography, and arts in the world around them! From the Statue of Liberty, to Broadway, to the Central Park Zoo, to the Metropolitan Museum of Art, this fun book takes readers on an adventure around The City that Never Sleeps, accompanied by a friendly pigeon, who gives cool facts on every spread! Guess How Much I Love Philadelphia introduces early learners to non-fiction in a way that both explains and entertains in this book about the best things about Philadelphia!